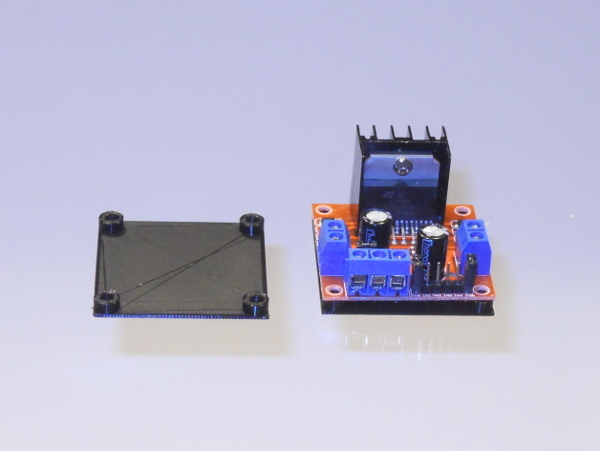 prevent short-circuiting the board component pins if the mounting surface is metallic. The mounting holes are 3 mm in diameter. They are pass-tru holes. They are 36.75 mm apart. The mounting plate is 43.3333 mm x 43.3333 mm. 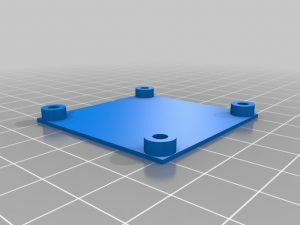 The overall height of the mounting plate is 4 mm.